Criminals are often forced to speak of their crimes in order to get the very best criminal defense possible. 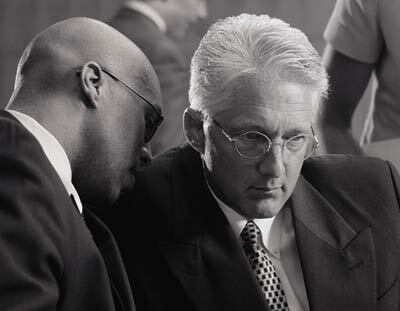 If a client can’t speak with his attorney frankly and honestly, then he has no chance of getting the best defense. Attorney client privilege requires the attorney to keep anything the defendant says private and confidential between them. The penalty for breaking this rule is stiff, as an attorney can literally lose their license to practice law. All lawyers take this attorney client privilege very seriously. Many people look at the attorney client privilege and see it as an unfair advantage for would be criminals. The truth is, attorney client privilege is absolutely necessary for a system of law to function properly. Think about it. If a client were unable to speak openly and honestly with their own attorneys for fear of being charged with further crimes, then many bad things would come from that. Innocent people might go to jail, victims might not be discovered, evidence most surely would be left behind and most importantly, good defenses for people charged with a crime would be impossible. If you are a defendant that is genuinely innocent, then attorney client privilege suddenly would become very important to you. These folks need that confidentiality to be able to put on the best possible defense for their client. An innocent person going to jail could be at stake. Even the guilty deserve to be represented properly at trial. If they are not, then an endless stream of appeals will follow. In this situation, you might even end up releasing a guilty person into society once again. This is a huge deal if it is a serial killer or violent offender. It is important to convict criminals the right way the first time. Another problem that occurs with attorney client privilege is when the client themselves shares information they want kept private outside of the attorney client arena. If a suspect goes to their parents, for example, and reveals that they were at the scene of a crime, then the information is no longer private. The client cannot expect confidentiality at that point and the parents may or may not go to police. The laws are complicated and it would totally depend on a number of factors as to whether something like that would be admitted into evidence. The bottom line is, the only way to stay fully protected under attorney client privilege is to keep all private information private with your attorney. Once you move outside of that circle of trust, your information can spread like wildfire. While attorney client privilege may seem to exclusively favor the criminal defendants, the fact is it applies both ways. Both the innocent and the guilty are protected and it is a staple of our Justice System. Without it, the system would fall apart. Like any great justice system, checks and balances are needed to ensure that we are safe and protected from unfair law practices.